The Young and the Restless spoilers fully documents current developments in Genoa City. Now, let’s look across time back to March 1973, when Y&R debuted as a half-hour soap opera on CBS. In 1980, the show lengthened to its current one-hour format. Subjectivity is openly admitted. So 45 of the greatest characters will be listed. However, they aren’t meant to represent a definitive list, or one created in any particular order of importance, except for the first name that will be written. For all that the Duchess meant to Genoa City and that Jeanne Cooper meant to her daytime colleagues and fans, all hail Katherine Chancellor now and forever! Brock (Beau Kazer) and Rex (Quinn Redeker) agreed and Esther (Kate Linder) surely agrees with this sentiment. 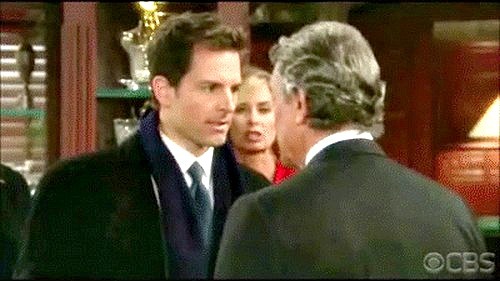 Victor Newman (Eric Braeden), Nikki (originally played by Erica Hope and currently by Melody Thomas Scott), Victoria (originally played as a teenager by Heather Tom and currently played by Amelia Heinle), Nick (played since his teenage years by Joshua Morrow) and Adam (most recently played by Justin Hartley, with a nod to Michael Muhney for his memorable work and Chris Engen before him) earn obvious mention. The Newman’s were one of the main families that came after the Brooks, Chancellor and Foster clans, each of whom were the show’s focus in the early to mid 1970’s. Lance Prentiss (last played by Dennis Cole) was involved with the Brooks’ sisters. This character was originally portrayed by John McCook, which is interesting because this actor was later cast to portray Eric Forrester (who’s not included in this count for the reason that’s next mentioned). Eric was (and remains) one of The Bold and the Beautiful’s male leads, when Y&R’s spinoff show debuted in 1987. Eric has also crossed back and forth between both shows, as has Lauren (Tracey Bregman), her nemesis Sheila Carter (Kimberlin Brown), Ashley (Eileen Davidson) and others. Julia (Meg Bennett) preceded Nikki as Victor’s wife when the Newman’s arrived in GC circa 1980. 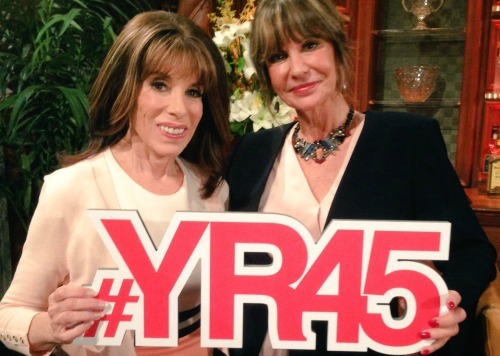 Bennett, reprised her role for Y&R’s anniversary celebration. Hope (Signy Coleman) was one of Victor’s other wives and Adam’s mother. Coleman, who is sighted, portrayed a blind person with respectful skill. Jill (originally played by Brenda Dickson and currently by Jess Walton) became the American soapy success story. Evolving from Katherine’s manicurist into Phillip Chancellor II’s (initially played by John Considine and then, Donnelly Rhodes) lover and mother of his child, then into John Abbot’s (Jerry Douglas) wife and mother of his son, Billy (originally played as a teenager by David Tom, then by Billy Miller, Burgess Jenkins and currently by Jason Thompson). The Abbot family also includes Jack (first played by Terry Lester and currently by Peter Bergman), Ashley and Traci (Beth Maitland). Marla Adams work has been great within the last year, but Dina’s two short stints in the cast don’t yet rate top-45 status. Brad Carlton (Don Diamont) was connected to the Abbott and Newman families for 24 years. His impact in this fictional Wisconsin town was significant. Doug Davidson (Paul) holds the current Y&R record for most episode appearances, amassing over 2,900 performances. Paul’s current wife Christine (Lauralee Bell, daughter of Y&R’s founders William Bell and Lee Philip Bell) loves him, but counts Danny (Michael Damian) as her first and likely greatest true love. Chris also still considers Nina (Tricia Cast) as her best friend, though she’s not currently living in GC. A mention of Chris must be followed by Phyllis (as first played by Michelle Stafford and today, by Gina Tognoni). Drucilla (Victoria Rowell) supposedly died years ago. Neil (Kristoff St. John) continued living. God willing, he’ll find his greatest love again someday. Lily (Christel Khalil), Cane (Daniel Goddard), Devon (Bryton James) and Hilary (Mishael Morgan) have all earned their due. Malcolm (as initially and most recently played by Shemar Moore), was eventually revealed as Lily’s father, had a strong run. Sharon (Sharon Case) came to GC in the mid-1990’s. Together she and Nick raised Cassie (Camryn Grimes). Grimes’ solid acting efforts as Cassie’s sister should also be noted. Mariah isn’t included in the final total, but could eventually hit that mark with longevity. Cassie’s name sparks a mention of Daniel (Michael Graziadei), who is Phyllis and Danny’s son. Kevin (Greg Rikaart) was initially written into the story to expand Michael’s (Christian Le Blanc) back story. The same is true for their mother, Gloria (Judith Chapman). Esther’s daughter Katherine changed her name to Chloe (Elizabeth Hendrickson). She always caused turmoil and likely will again. J.T. (Thad Luckinbill) was a decent guy during his first Y&R stint. His second run portrays him as a troubled monster. Patty Williams (initially played by Lilibet Stern and most recently by Stacy Haiduk) easily rates as one of Y&R’s most enigmatic recurring characters. Y&R fans are asked to digest this piece and then offer their own takes. CDL is a leading source for everything linked to The Young and the Restless. 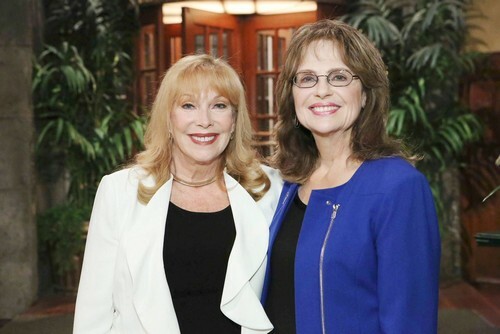 Check back regularly for Y&R spoilers and news!